Bring your vehicle down to Duane’s Radiator Shop to get it repaired and back on the road. We offer a wide variety of tools services to ensure your auto repairs are done efficiently and in a cost effective manner. We will always notify you of any additional issues we may find during servicing your vehicle to ensure that you are informed. We do not perform any additional work outside of agreed-upon services without your approval. 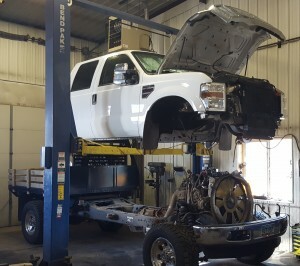 We are set up to diagnose your check engine codes with our quality scanner. With this technology we can pinpoint where your issues are coming from, and correct the problem before it becomes critical. Call us up at 701-572-3075 and see if we can set you up with a solution for your problem! We look forward to hearing from you.